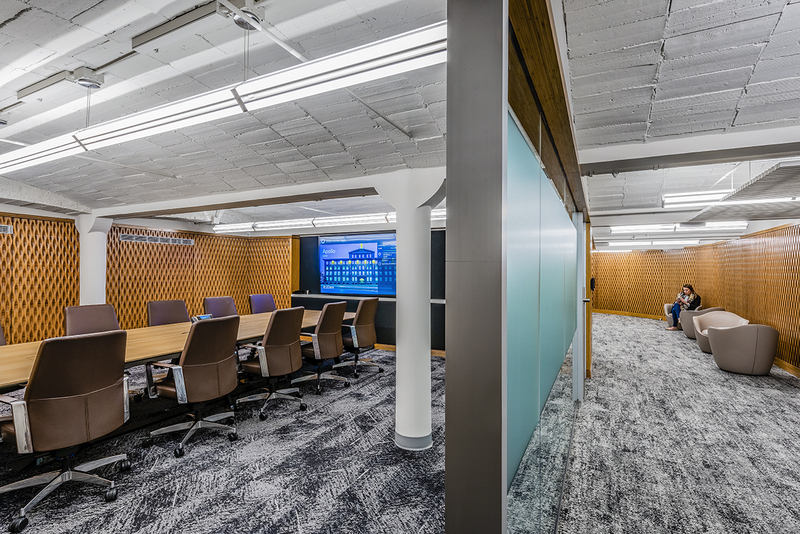 By creating first-class working space in a common area of 215 First Street, ARE is able to capitalize on the scarce supply of available space in Cambridge, providing a working solution for tenants by eliminating the need for more conference rooms within their individual offices. This ultimately provides more space, as well as flexibility for growth. Formerly the home of the Athenaeum Press, 215 First Street was first built in 1885. Renovations always have their own limitations, but working in a building built in the 1800’s has a unique set of challenges. The space has an original brick arched ceiling, which, due to the height mechanical system, had to be reworked and run through the walls around the perimeter. Maintaining and highlighting the historical architectural details was extremely important for the project. New architectural details incorporated had to match the existing finishes. With no record of the exact materials used originally, finding these matching finishes took patience and creativity. Working alongside the design team Wise had to research and test materials to find the right plaster and brick to match. 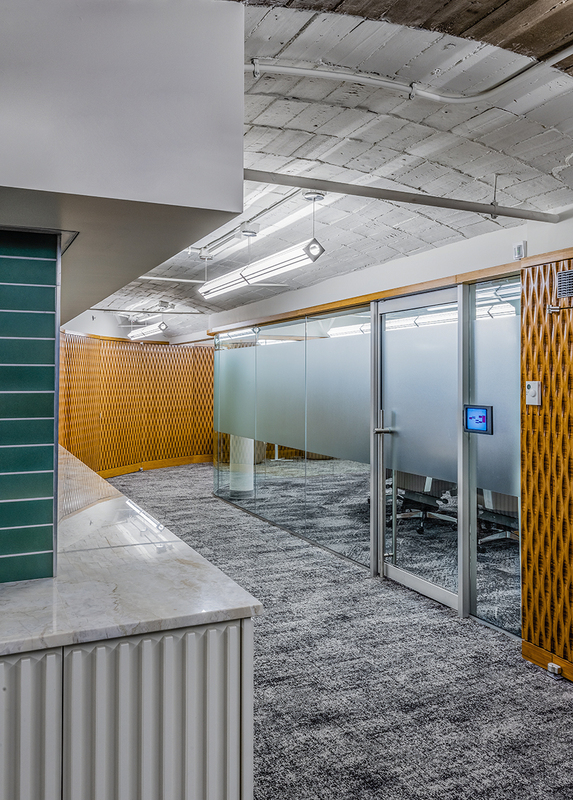 Because Wise was brought on early in the project it lent itself to a collaborative approach with the owner and design team to seamlessly navigate many of the unforeseen challenges, including the research of materials, allowing the project to be completed on schedule. The project team included Dermady Architects and AHA Consulting Engineers.